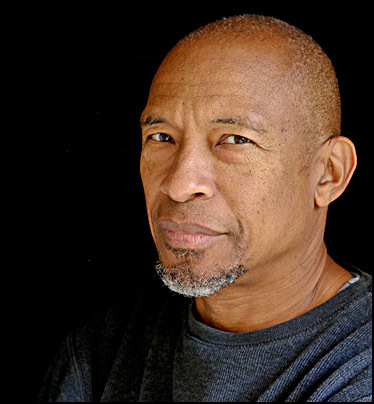 Spotlight Interview … Photographer Gordon Lewis | James Robinson Photography Blog - Spotlighting contemporary photographic talent ..
JRP: Please welcome a kindred spirit to this segment of James Robinson Photography Blog, Photographer and Writer Gordon Lewis. Thank you Gordon for participating with us. Gordon Lewis: Thank you for asking me. JRP: Gordon where do you call home? How did you get your start in photography, and is there any formal training in your background? Gordon Lewis: I lived most of my life in Los Angeles, California. Seven years ago my wife and I moved with our three kids to the suburbs of Philadelphia, which is where we live now. My interest in photography began with my father, who was a darkroom technician for a graphic arts firm. He dabbled in photography and would show me the prints he made. That inspired me to try developing my own film in a closet at home, but to limited success. In junior high school one of my teachers taught me how to use a 4×5 Speed Graphic to photograph school events. It wasn’t until I got to high school that I had access to a real darkroom. I’d spend hours working on my printing skills. I did the same when I got to college. I would read every photo magazine and book I could get my hands on, cover-to-cover. Although I graduated from Harvard with a B.A. in government, my real love was photography. After graduation I worked for two photo marketing companies, Vivitar and Kiron, where I got the chance to watch some of the top commercial photographers in L.A. at work. I also learned a lot from Dean Collins, who was one of the major photo lighting gurus at the time. I’ve done professional location photography, product photography, weddings and portraiture. So I guess all that is to say that I’ve had no formal training but I’ve accumulated lots of experience. JRP: I call you a kindred spirit because of your blog, which is how you came to my attention. When did you first start blogging about photography and how has it helped to shape your photographic perspective? 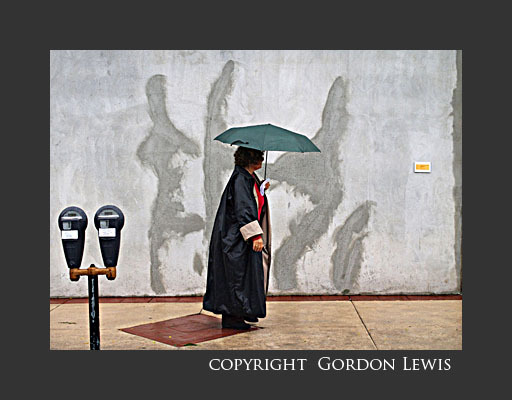 Gordon Lewis: I started Shutterfinger roughly three years ago, mainly as a way to connect with other people who share my perspective and like my writing style as well as my photography. It looks like I’ve brought you into the fold too. As for what my perspective is, it’s basically that the work is most important, not the tools. I try to put my money where my mouth is and demonstrate what I’m talking about, not just talk theory with no practice. JRP: Name several photographers you feel have impacted your work and why? Gordon Lewis: Max Yavno was a big influence based on subject matter and the way he printed. His black and white tones were killer-deep and rich but with lustrous highlights. He’s well-worth a Google search. Art Kane blew me away with how he combined color and graphic design. I love Elliott Erwitt for the way his sense of humor shows through in his street photography. I could name others, but they would all share the same basic qualities I strive for in my personal work, tight composition with strong graphic design elements and a limited color palette. Gordon Lewis: You wouldn’t find much, just a DSLR with a normal lens and maybe a short telephoto or a moderate wide-angle, all fast primes. I’m a street shooter at heart so I like to travel light. Of course if I’m doing a paid assignment then I pack whatever I need to get the job done. JRP: Can you describe your digital work-flow and the software you use? Gordon Lewis: I generally shoot raw+JPEG. When I sort through a shoot I first delete all the crap. For keepers and shots with potential I delete the JPEGs and keep the raw files. For shots that I happen to like but that have no real value except to me and my family, I delete the raw files and keep the JPEGs. They take up less space, they don’t require any special software, they’re easy to print, and it’s not like my survivors would know what to do with raw files anyway. I do the majority of my file management, meta-tagging and post-processing in Lightroom 3. I use Photoshop only when I have good reason. Keep in mind that I spend most of my professional time working on a computer anyway, so spending even more time that way, even if it involves my own photography, gets old fast, at least for me. JRP: Do you personally print your images? Gordon Lewis: Yes and no. I print small 8 x 10 proofs of my images with an old Epson Stylus Photo R800 inkjet printer I own. When it comes to print sales though, I use a local printmaking studio. They have a large-format Epson 9880 driven by an ImagePrint RIP. I get a lot better quality at a lower cash outlay by having them doing it than trying to do it myself. JRP: Are there any memorable images you could share with us? What made the execution of each image special? Gordon Lewis: I’ve got three. The first shows my Elliott Erwitt influence. 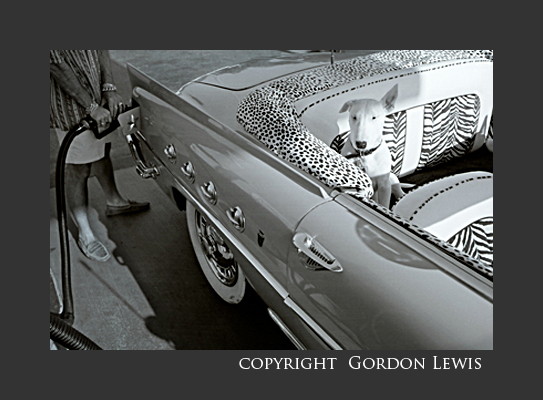 It’s not like I was walking around looking for dogs to photograph, but when I saw this terrier sitting with one ear cocked in the back seat of a custom convertible with zebra and leopard-skin upholstery, how could I resist? This was shot on film and scanned from one of my prints. I’m not the only one who likes it. It won first prize in the candid/humor category in Popular Photography’s 2003 Photos of the Year contest. This second one is more of a personal pleasure. If you look closely you’ll notice a white dot directly above the head of the boy in the middle. That’s my son and the dot is a tennis ball he and his friend were bouncing against the brick wall. Better yet I shot it on film, so I didn’t know I had nailed the composition until I saw the negatives. This third one has been my most commercially successful image so far. I sold over a hundred copies and it was recently included in “Why Photographs Work,” a photo compilation edited by George Barr. People tell me it looks as perfectly composed as a painting, but the fact is I framed and shot it in less than four seconds. If there’s any hallmark to my personal style, this is it: making spontaneous moments look as if they were perfectly planned. Gordon Lewis: I honestly can’t remember any one piece of advice that sticks out in my mind. I’ve learned a lot more from observing what other photographers do and looking at their work than from acting on specific advice. JRP: What wisdom would you like to share with other photographers? Gordon Lewis: I’m a little nervous about presuming to be “wise.” In terms of insights I’ve learned along the way, it’s that you seldom go wrong if you embrace what’s idiosyncratic about your photography. You want your work to be as individual and characteristic of who you are as your face, your voice, and your handwriting. Styles come and go, but who you are is constant yet always new. It’s also hard for other photographers to be “you,” so if you’re very good at being you you’ll have a real competitive advantage over copycats and people who lack self-awareness. 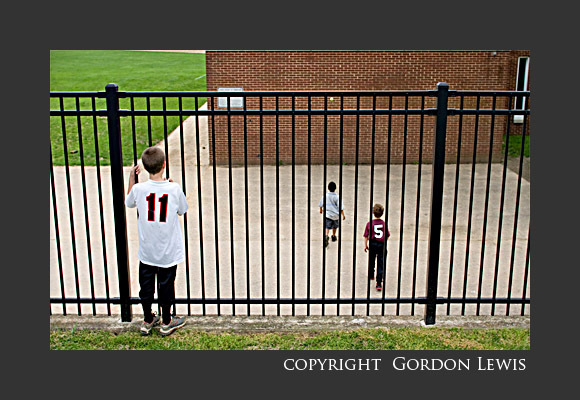 JRP: Thank you Gordon for sharing your thoughts and images with us. It has been a pleasure. Continued success with Shutterfinger as well. Gordon Lewis: Thank you for your interest. These questions remind me that I need to shoot more photos and refresh my portfolio. Guess I’d better get busy. Great interview! Very much liked what Mr. Lewis had to say about embracing the individual traits that define your creative work!